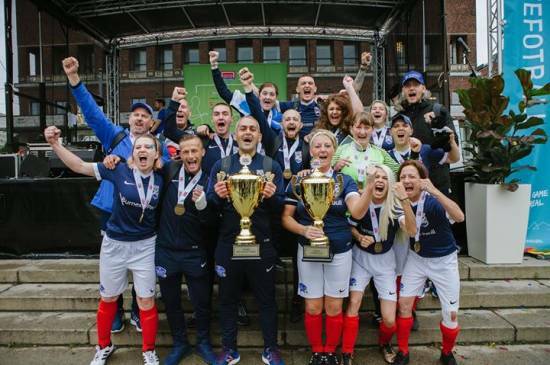 We would like to congratulate all of Scotland’s men and women who have now returned home from Norway following a life changing experience at the Homeless World Cup. Both Scotland teams had an incredible tournament, proudly representing their country on an inspiring platform that aims to make positive changes in people’s lives through football. The Scot’s showed great heart and determination in their performances throughout the week, most spectacularly epitomised in the women’s final for the Fretex Plate where Scotland overcame a first half deficit of 4 goals against the Netherlands, to be crowned champions winning 5-4. The final goal was pipped home by non-other than Rothesay’s very own Frankie Austin, and support provider HELP Ltd couldn’t be more delighted for her and her team mates. The men’s team were equally magnificent, beating Grenada 5-1 and bringing home silverware of their own as winners of the New Balance Shield. One girl reflected on her time in Oslo saying "the whole experience was absolutely amazing. Even though I kind of knew what I was coming to, I must say it’s bigger than my dreams could have imagined". Another player expressed the impact this experience has had on her life saying "I have a real life now. This experience has made me realise I was meant to be here. I was meant to have a life I could be proud of". Congratulations Scotland, you’ve only gone and done the double.